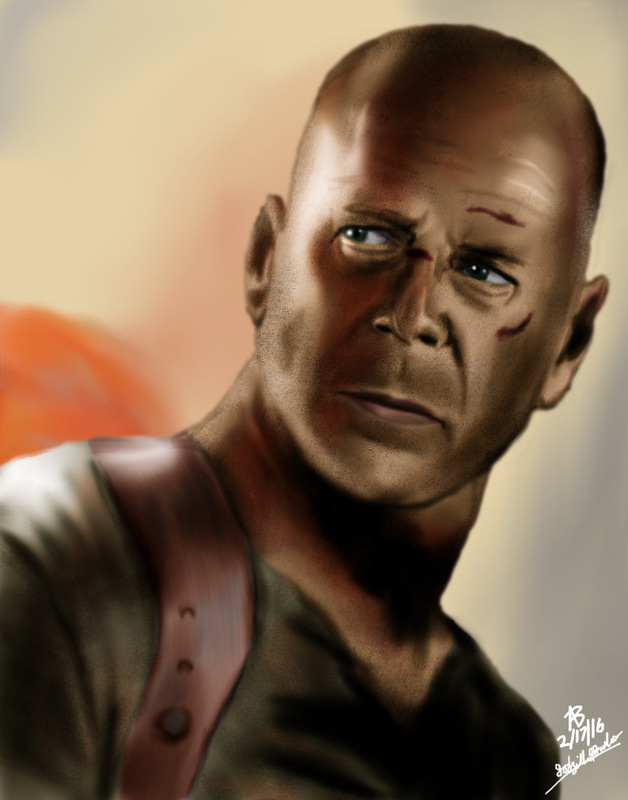 I decided to do a portrait of Bruce Willis after seeing the Die Hard series for the first time. This is my latest digital painting as of this post (2/17/2016). I tried spending a large amount of time on the detail for this painting. I like how he turned out.